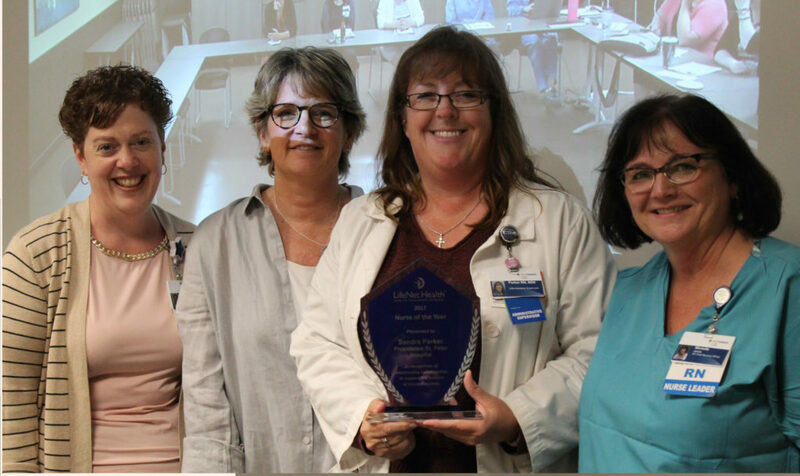 The support of tissue and cornea donation has led to multiple awards for Providence St. Peter Hospital, and nurse Sandra Parker. 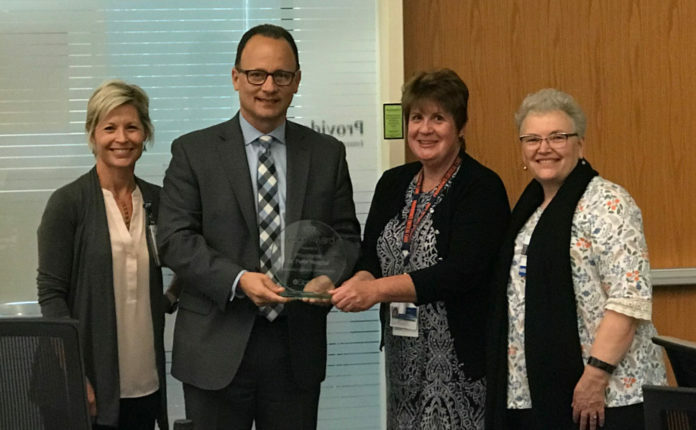 Providence St. Peter was awarded the 2017 SightLife Vision Award for exceptional results in cornea donation, and 198 individuals received sight-restoring transplants in 2017 from donations made possible by generous donor families at PSPH. “I am so proud of the team and Sandra for ensuring St. Peter actively supports the donation,” said Providence Southwest VP of Nursing Michelle James. 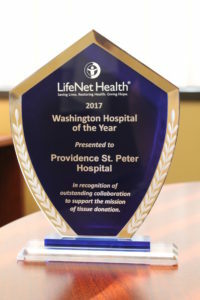 St. Peter is one of three hospitals in Western Washington to receive the SightLife Award. The hospital has achieved a cornea donation conversion rate of more than 70 percent for the past several years, according to SightLife, a global health organization focused on eliminating corneal blindness in the U.S. and around the world by 2040. St. Peter nurses and other care providers work closely with SightLife staff to support families who can donate – giving the gift of sight. This collaboration ensures that each wish to donate is fulfilled. Founded in 1969 and based in Seattle, Washington, SightLife is a non-profit global health organization working to prevent and eliminate corneal blindness worldwide by 2040. Sight restoration has a profound impact on recipients, their families, and their communities – no one should have to wait to experience the joy and possibilities that vision brings. With partners in more than 30 countries, SightLife is increasing the number of corneal transplants performed each year to transform millions of lives around the globe.